I'm not sure if you noticed this but, after the post I put up about Joe South, good ol' Larry Grogan left this in the comments; "I had no idea, until I clicked on your link, that South had written 'Shelter', one of my fave Tams records!" 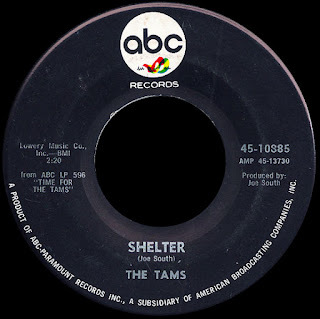 Well I, for one, had no clue that The Tams had ever cut it in the first place! When a record comes that highly recommended, I figure it's worth seeking out, and so here's the original cool R&B vocal group version of the song that Joe produced on The Tams in 1966, a full two years before he cut it himself. 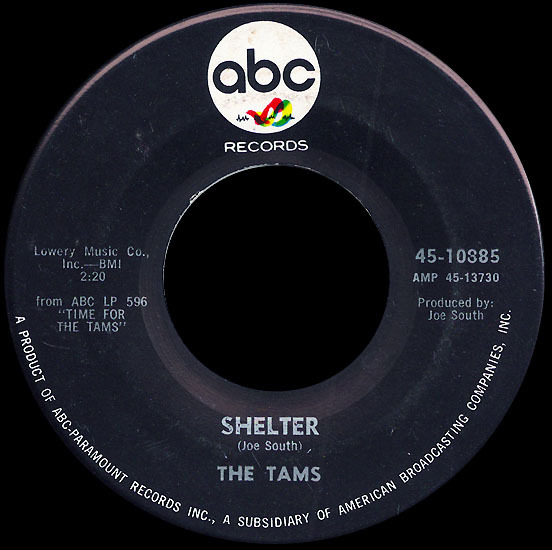 Although their soulful lead singer Joe Pope has since gone on, The Tams remain so popular down South that there are currently two groups performing under that name. It's all good! Thanks for the heads up, Larry! Do you know the name of the man 3rd from left? I have tried to find out who was who in the Tams but have not been able to. I just came across your blog last night; it is great work! To your question, 3rd man from the left on the Tams photo is Horace "Sonny" Key who was an original member of the Tams. His nickname (in the '70s at least) was Mr. Dynamite because he was often moving in slow motion compared to the other group members. 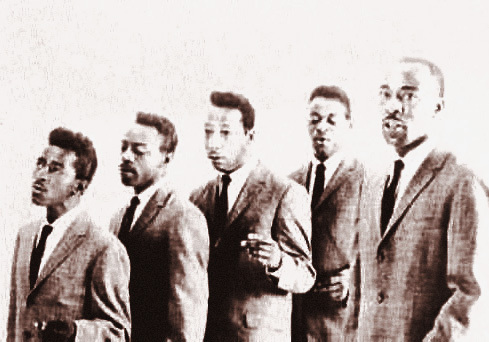 Sonny often sang lead on the Tams hits when Joe Pope was not at a gig. He also sang lead on the songs "Anna" and "Carrying On" which are also B-sides. "Carrying On" was the B-side of "I've Been Hurt".